Well, as Neil Hamburger once said, they can’t all be zingers. While the last issue was a glimpse into the future of what MAD would be, MAD #3 is a letdown. While the first issue was still trying to find itself, MAD #3 looks and feels like an issue of MAD in terms of the content. 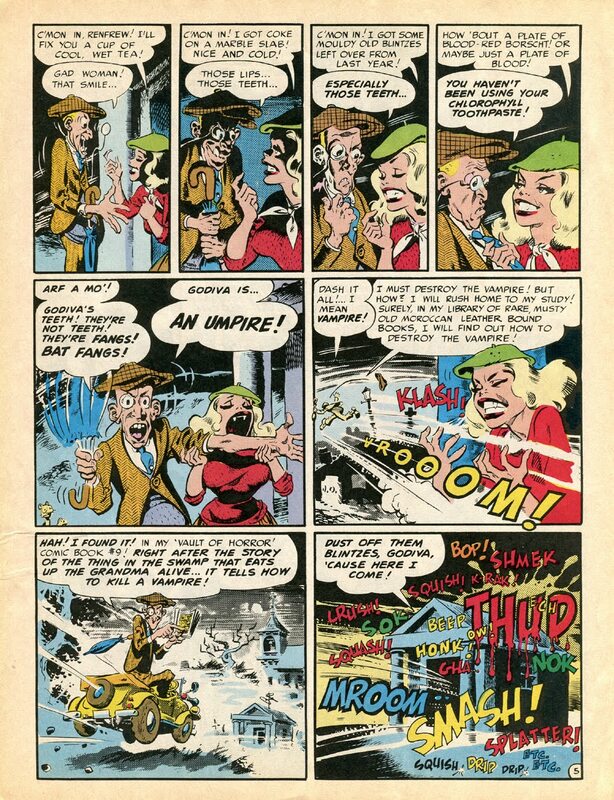 Unfortunately, the stories and jokes are much weaker, and it feels like Harvey Kurtzman was treading water. (Spoiler alert: MAD got better.) But even in this weak issue, there are still high points. MAD #3 opens with a glowing letters page, as E.C. finally got the letters in about the first issue. Though later letters pages would be more entertaining, this one is comprised of brief pull quotes of people writing in to say how great issue #1 is. 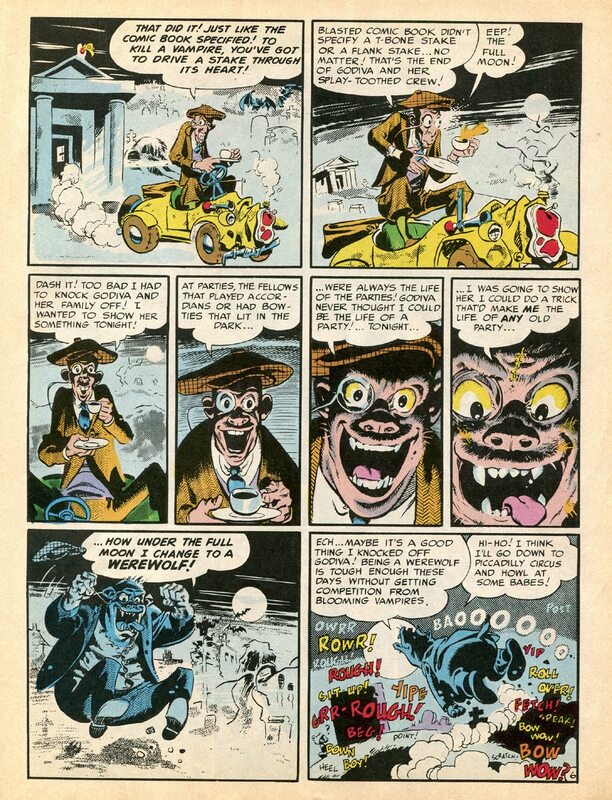 It feels a little odd, given MAD‘s later policy of self-depreciation, but given how MAD was so different from everything else on the stands at the time, I can see where Kurtzman would be keen to show off that his experiment worked. Unfortunately, it sets the rest of the issue up to meet the high praise and, well, it falls a flat. Though there are some great gags in “Dragged Net!” — which we’ll go into later — it’s overall very weak. If there’s an easy point of illustration, it’s the hilariously creative parody name of Jack Webb’s character. See, they changed Joe Friday to — get this — Joe Friday. Given the awkward spacing in the word balloon, it’s pretty clear the names were, well, changed. But the story is a mish-mash (something even called out in the script), and most of the jokes feel like first drafts. For example, Friday and Saturday go to the Congo to speak with another suspect (no, it doesn’t really make a lot of sense), apparently just to set up a “Congo Line”/”Conga Line” pun. While repetition in comic panels is often looked down upon as lazy — especially in the case of cartoonists who merely reproduce the same panel rather than redrawing it — here, it tricks the reader into complacency. If you’re scanning the story, you won’t notice the gags hidden in the changing details. Another lovely bit about the artwork is Elder’s talent for gross-out, when they arrest the story’s antagonist, Glotz. He’s a grotesque, bare-chested man who messily eats an Italian buffet. It’s supposed to be disgusting and it truly is. Unfortunately, the weak story doesn’t do justice to Elder’s great art, and the final punchline isn’t great. There really isn’t much to recommend this one. The normally outstanding art on display in MAD feels phoned-in on this story. 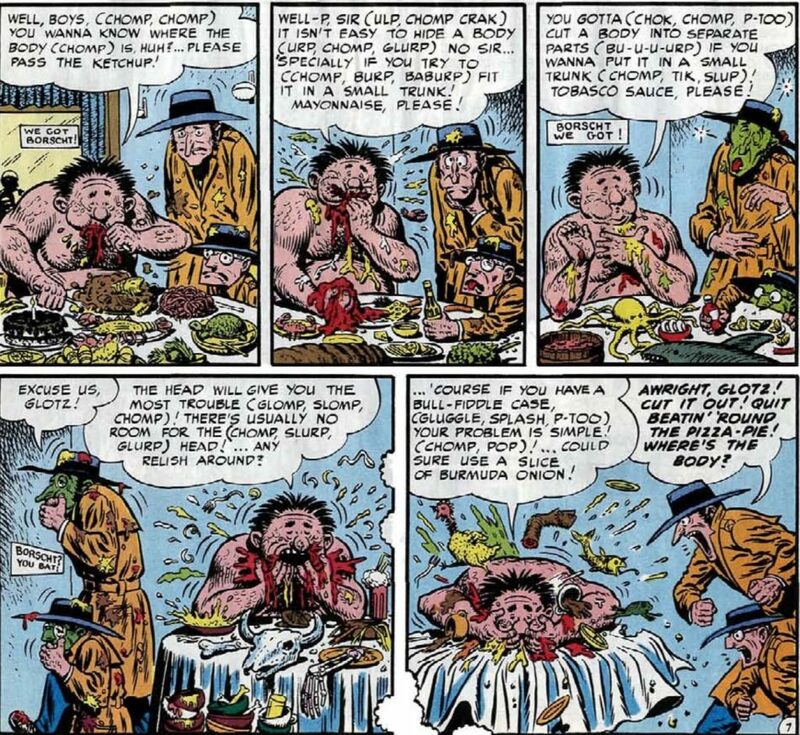 It feels as if John Severin clocked this story for being as weak as it is and didn’t want to spend a second longer than necessary on it, leading to some really sketchy designs. Admittedly, I might be too far removed from the source material to properly appreciate this one. 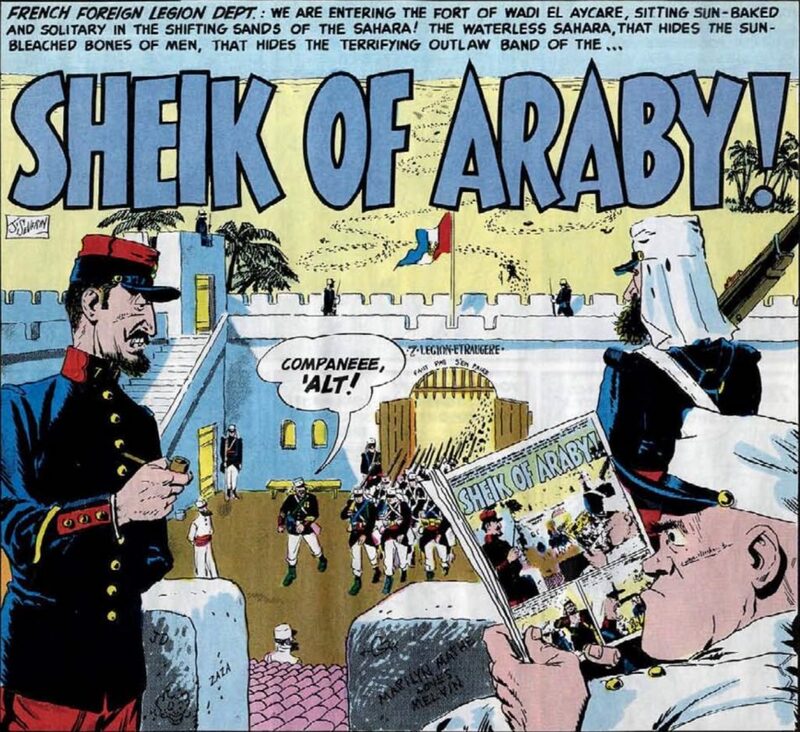 I know that “French Foreign Legion” was a genre unto itself, but a genre I only really know from parodies of it, like Crock and old episodes of Hanna-Barbera cartoons where, to escape some horrible fate, the main character joins the Foreign Legion. And, uh, Crock is terrible. The inevitable Foreign Legion episodes weren’t much better. Wood redrew the story for a 3-D E.C. special issue, though the layouts are different and, honestly, weaker than the original. Compare this page from the redrawn version, which puts the punchline to the particular gag on the same page, rather than making you turn the page which gives the joke much better timing. 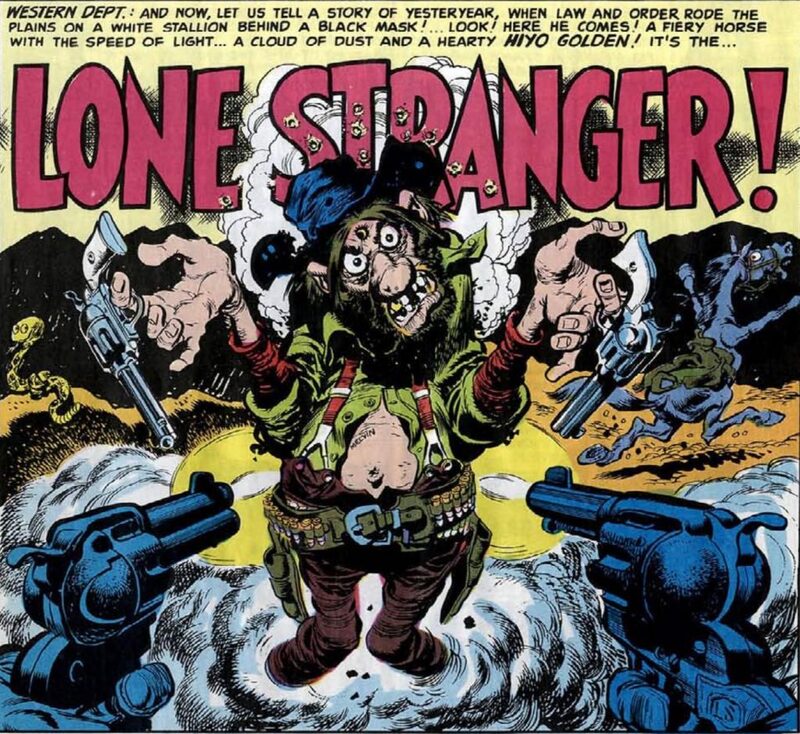 Finally, we come to “Lone Stranger!” The Jack Davis illustrated parody of the Lone Ranger is amusing, though Davis’ art seems a little… off to me. Still, it’s a decent story, even if Kurtzman runs out of story a few panels before he runs out of pages, ending on a weak call-back. But there are some great gags — I’m particularly fond of the way the robbers try and fail to open the cash-box that holds the Stranger. The interesting thing is that Kurtzman revisited both “Lone Stranger!” and “Dragged Net!” in later issues (MAD #8 and #11 respectively). Though the later stories recycle a few gags from the earlier stories — and I can’t blame him; in the 1950s, comics weren’t really expected to be read and re-read; they were ephemera — both later stories are much stronger than the MAD #3 versions. (And in the second “Dragged Net!” Joe Friday actually looks like Jack Webb!) 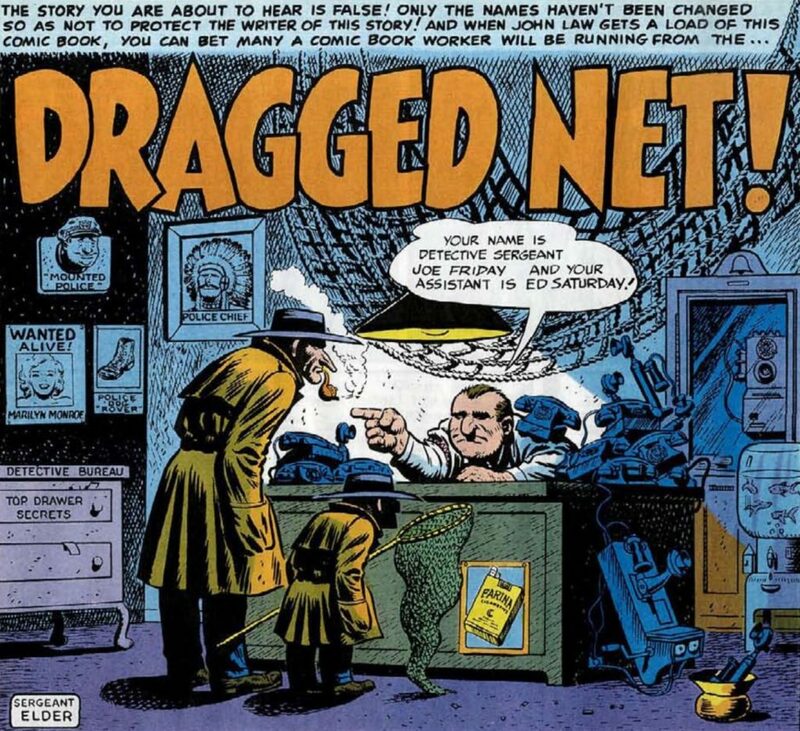 The gap in quality, however, is much more drastic between “Dragged Net!”s than “Lone Stranger!” and “The Lone Stranger Rides Again!” The second “Dragged Net!” story is generally what people think of when thinking of Kurtzman’s MAD take on Dragnet; the story flows much better and the gags are stronger. The two “Lone Stranger!” stories, on the other hand, are much closer in quality; neither are the star of their respective issues, but that’s partly due to each having a bonafide classic story to compete with. 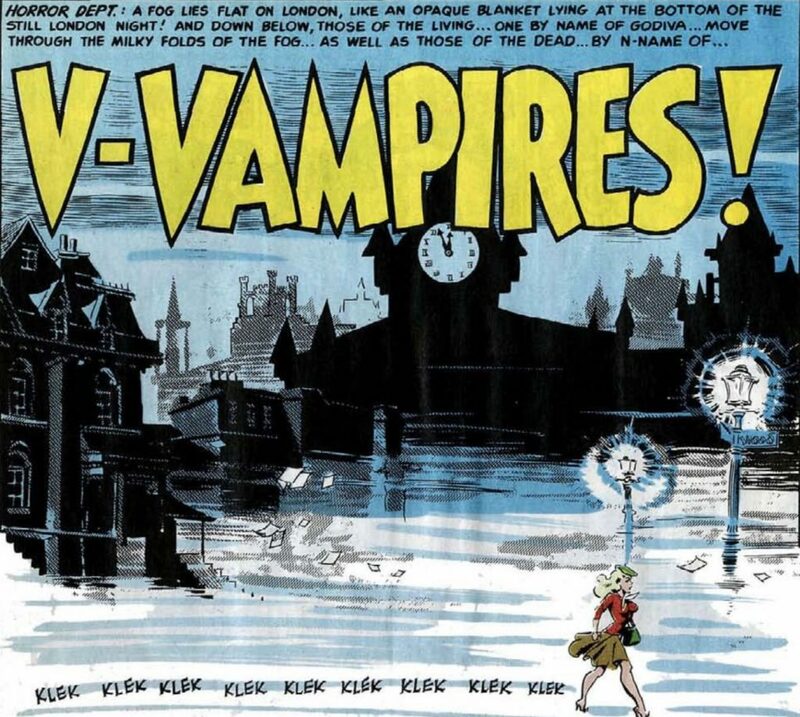 MAD #3 has “V-Vampires!” where MAD #8 has “Batboy and Rubin!” and, well, there’s no contest. Still, both are relatively strong — if not, exactly what we’d consider woke in regards to the American Indian community. The scenes with Pronto drunk — even though, in the original, Tonto was always sent to pick up gossip of future crimes at the local saloon — are uncomfortable today. Of course, the issue is 74 years old; as I’ve mentioned before, while this stuff is worth pointing out, it’s also of a different time. I’ll tend to give this stuff a pass more than I would the same thing created today. It’s still a little jarring but, well, the past is a foreign country and all that.